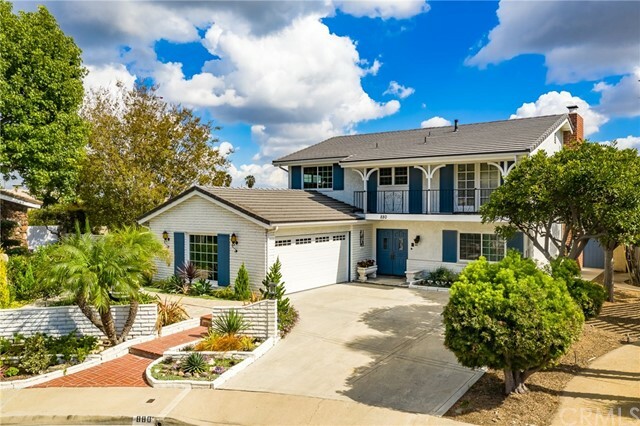 All Bixby Hill homes currently listed for sale in Long Beach as of 04/18/2019 are shown below. You can change the search criteria at any time by pressing the 'Change Search' button below. "Turnkey describes this beautifully upgraded 4 bedroom residence in the Exclusive, Gated Community of Bixby Hill!! Highlights include manicured landscape, custom brick walkways & drive approaching 3 car garage. Tasteful double glass entry doors, upgraded wood floors, crown molding, upgraded shutters & dual paned windows throughout. Gourmet kitchen boasts granite counters, custom rollout cabinetry with an abundance of storage, 5 gas burner stovetop, Frigidaire electric oven, Bosch dishwasher, builtin microwave, elevated kitchen ceilings, trash compactor plus Hans Grohe upgraded fixtures and a wonderful view of the Park-Like rear yard ideal for entertaining. Custom laminate flooring leads to spacious upstairs bedrooms, expanded master suite & huge Bonus Room with private deck. All bathrooms including downstairs 3/4 bathroom near guest bedroom feature divided flush dual max toto commodes,Hans Grohe upgraded fixtures, granite counters & custom showers with adjustable spray & water flow fixtures. Other extras include 2 separate dual zoned forced air heat & air conditioning for separate upstairs & downstairs usage, double mirrored closets, study areas in bedrooms, recessed L.E.D. lighting, U.S.B. charging ports, individual heaters in bathrooms & recirculating hot water pump in master bathroom, wine storage closet, skid proof flooring, custom lamp posts & garden lights in expansive rear yard. Plus a short walk to CSULB, Carepenter Center & The Pyramid!! Must See!!" 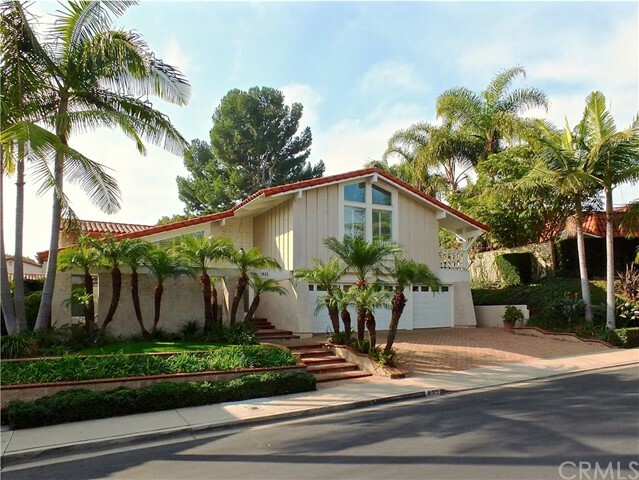 "Beautifully appointed cul-de-sac pool home in guard gated Bixby Hill. 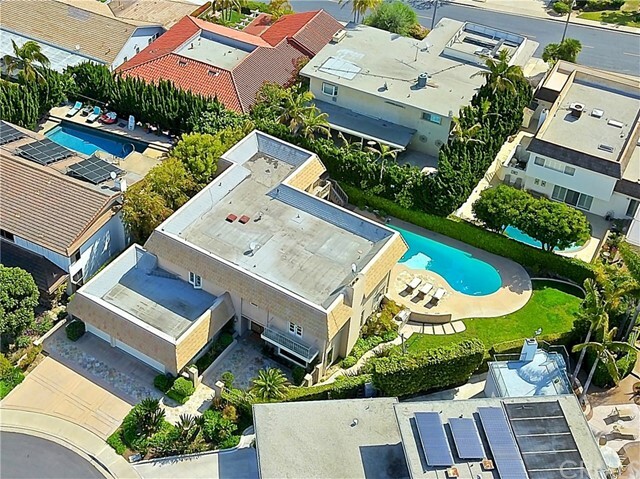 This 4,000+ sf. ft. home features 4 Br. 3.5 Ba. with expansive rear lot featuring pool spa, yard area, built-in BBQ, wine room and more! This home has both upstairs & downstairs family rooms with custom built-in wet bars with plenty of room for game tables, entertaining, custom oak built-ins, recessed lighting, storage etc. The remodeled kitchen overlooking the rear pool & spa has Corian counters, 6 burner Viking cooktop, built-in sub zero, Miele dishwasher breakfast bar & walk-in pantry. Adjacent to the kitchen is large dining room with built-in butler's cabinetry + walls of glass/sliders overlooking rear yard. Most of the downstairs has 9 oak plank flooring. Huge upstairs master suite w/fireplace features two walk-in cedar lined closets, french doors to a balcony, divided sink areas, and separate tub & shower. Both upstairs secondary bedrooms have cedar-lined walk-in closets as well with one facing front large deck. The backyard is spectacular with stone work surrounding the pool & spa, ample entertaining areas, atttached wine room and more. This home also has a guest bedroom/bath downstairs. A 3-car gar is also included in the great family home! Come take a look as this one won't last!" "Beautiful pool home located on a cul de sac with garden atrium, downstairs guest bedroom & 3 car garage in the exclusive guard gated community of Bixby Hill. Highlights include newer central air conditioning & forced air heating, manicured landscape with potted flowers on automated drip system, remodeled kitchen with double Dacor self cleaning ovens, tile roof, newer carpeting, wet bar & fireplace with conversation area in family room, vaulted ceiling, views of pool & private rear yard from kitchen & family room. Upstairs master suite features walk in closet, master bath boasts sunken tub & both upstairs bathrooms feature double sinks. 5th bedroom converted to a study. Also enjoy a short walk to Rancho Los Alamitos, CSULB & The Carpenter Center. Must See!!" "Lovely 5 bedroom Split Level in the Private Gated Community of Bixby Hill. This residence with manicured landscape & Palo Verde Stone Pillars is perfect for entertaining with expansive kitchen & spacious family room leading to rear yard with built in barbeque, bar, gas fire pit & dance floor. Upper patio with built in conversation areas is easily accessible from living room & formal dining room. Kitchen boasts double ovens, pantry, island stovetop, spacious area for casual meals & looks onto private patio & decorator fountain perfect for Sunday morning brunch!! Two downstairs bedrooms share guest bath with shower. Upstairs master suite features double marble pullmans with separate tub & shower, cedar lined walkin closet, three additional upstairs bedrooms with spacious closets, full bathroom & family laundry chute leading to full interior laundry room. Oversized double garage has interior space of a 3 car garage. In addition to its location in Exclusive Bixby Hill you'll also enjoy a short walk to CSULB with lovely walking paths, The Pyramid & The Carpenter Center. Must See!! And enjoy virtual tour movie!!" 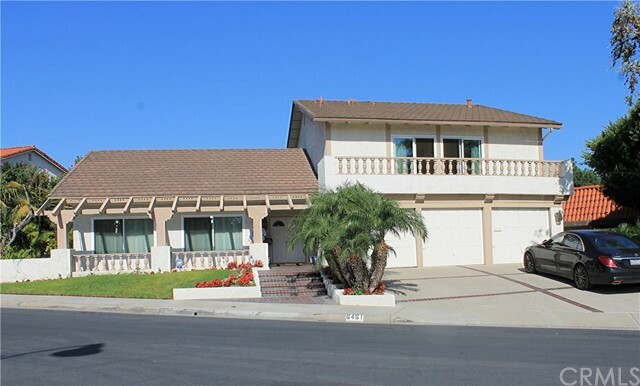 "Nestled on the boarder of Seal Beach, Long Beach and Orange County, this newly transformed residence awaits. 5 bedrooms and 3 bathrooms of pure elegance are ready for you! Move in and start enjoying this amazing lifestyle. Spacious executive home located within the well appointed neighborhood of BIXBY HILL. Enjoy the SECURITY and protection living behind the gates with 24-hour guard. This large expanded home at 2700 square feet living area is an entertainer's delight, with a great back yard for star gazing or entertaining with no one living behind your home. Preferred quiet cul-de-sac location. Brand new landscape in front and back yards. Downstairs bedroom and 3/4 bath. Nice marble fireplace in the living room. Enjoy the master bedroom with balcony and cozy fireplace. Fresh interior and exterior paint on entire house. Very bright and roomy, new laminate floors, all new dual pane windows, new carpet upstairs, 2 years new tile roof with 30 year warranty, new beautiful door, new furnace with warranty, new garage door and remote with 5 year warranty. 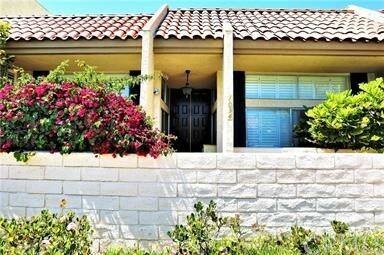 You'll enjoy a short walk to The Carpenter Center, The Pyramid at CSULB & a short ride to the beach!!" "****BACK ON THE MARKET**** Motivated Seller!!! Back on the market with the biggest price deduction ever. Seller wish to move things quick with serious buyer. This upgraded(original title record was 3b/4b), one of its kind townhouse offers a total of 3 bedrooms/2 bathrooms upstairs plus an additional add-on bedroom with 1.5 baths downstairs(direct access from the garage). 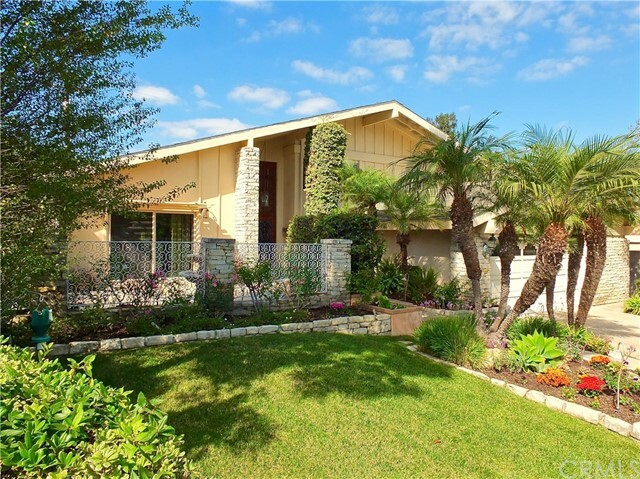 It's located in one of the most prestige/secure community in long beach, Bixby Hills Gardens. The community offers gate with guard/clubhouse/swimming pool/tennis court and many more. Beautiful open floor plan. Upgraded kitchen features-butcher block counters/stainless steel appliances, slate flooring, granite/quartz counters. Textured ceilings, custom windows castings with plantation shutters. Led can lighting throughout. Like new interior laundry Appliances. Attached two cars garage. The property is right across the street from Cal State Long Beach, great for investment and a perfect location for students to rent. Easy access to markets nearby, freeway, public transportation and the beaches. This is THE ONE that you surely wouldn't want to miss!!!"